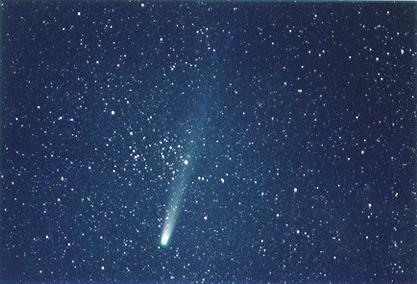 Comet from Vermont. 35 miles NW of Rutland. 4/3/96. Fuji 1600 ISO print film. 105mm at f2.8. 3 minutes. Type 3 double arm barn door. Limiting mag , 7+. Taken during eclipse of moon.